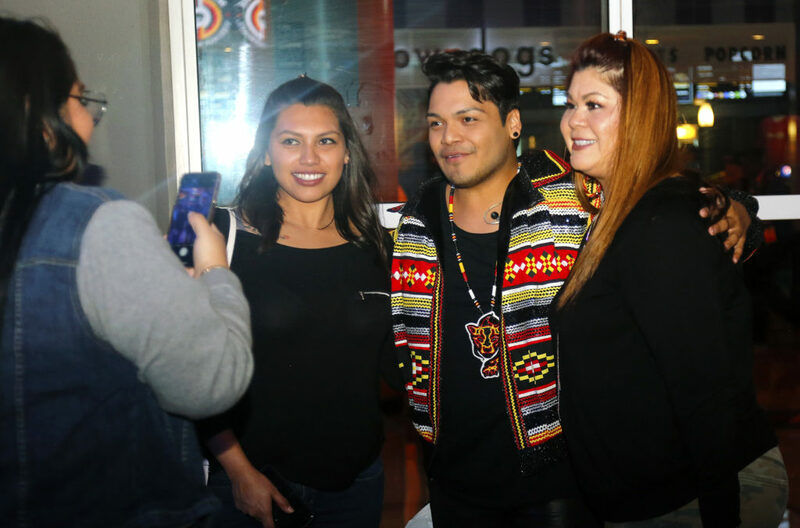 MIAMI — These are busy times for Spencer Battiest, and that’s just fine with the multitalented 28-year-old full-time musician and part-time actor from the Hollywood Reservation. Battiest finished up 2018 by acting in a Broadway-hopeful musical in New York City. He started the New Year by joining his Mag7 teammate Supaman for an appearance at a Miami Heat game Jan. 10. Later this year, a documentary about Mag7, which was partially filmed on the Big Cypress and Hollywood reservations, is expected to be released along with a new album from the group. Indeed, there’s plenty of activity filling up Battiest’s days. The stage Battiest occupied in early December was full of fellow Native Americans in “Distant Thunder,” an all-Native musical that is trying to reach Broadway. Battiest, who has been part of the production for a few years, plays one of the lead kids in the play, which is about the Blackfeet Nation. 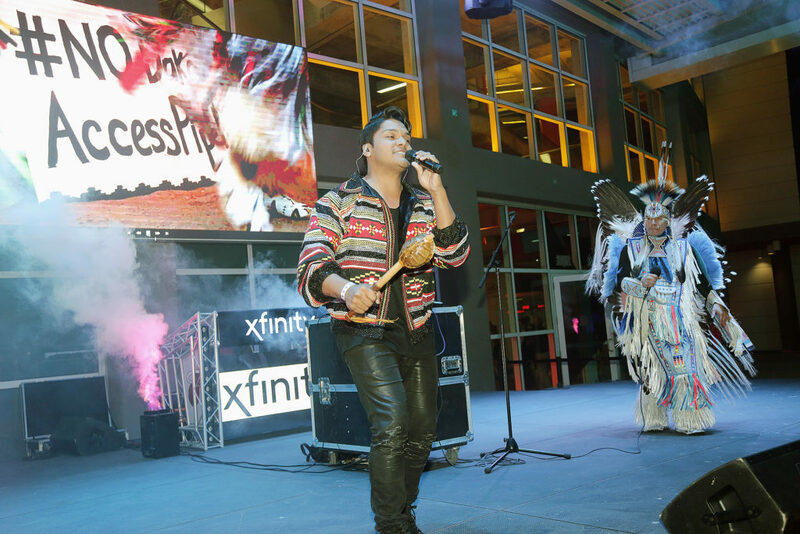 “Bringing culture like this to the Great White Way is so cool and it definitely gives us that extra buzz and extra push to be our best and shine our best for all Native America,” he said. Battiest is no stranger to performing in New York City, but he never takes for granted any opportunity he gets to work in the Big Apple. Rehearsals were held at Playwrights Horizons, the same venue where the megahit “Hamilton” rehearsed. “Distant Thunder” hasn’t ascended to Hamiltonian status yet, but Battiest said the performances, which were held at A.R.T./New York Theatres on West 53rd St., received positive accolades. The goal, Battiest said, is for the musical to get the backing it needs to become a full-blown Broadway show. “We got great responses. We had three major performances where each one we had the public along with very high profile producers who are looking to produce the show,” he said. 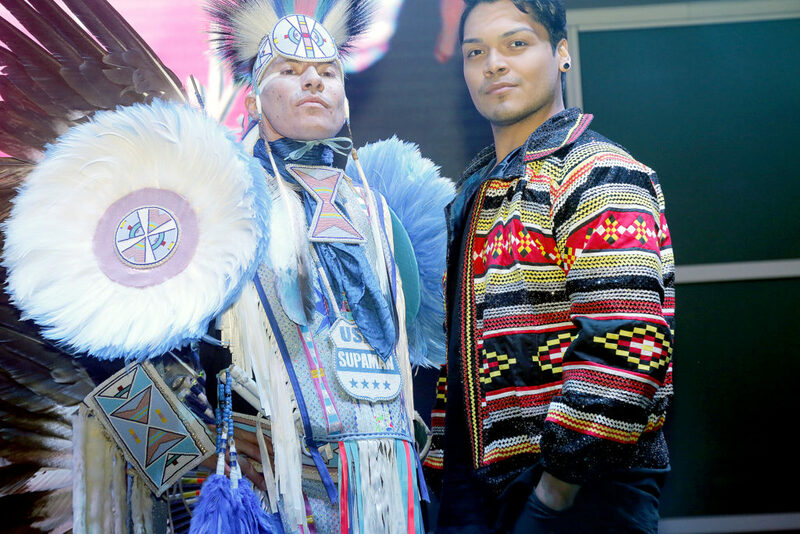 The responses were positive, too, when Battiest and Supaman (Apsáalooke) took the stage in Miami for pregame and halftime performances. They performed in the American Airlines Arena’s Xfinity East Plaza, an open-air gathering space on the east side of the arena that overlooks scenic Biscayne Bay with massive cruise ships and towering skyscrapers nearby. The pair sang the highly-acclaimed “Stand Up/Stand N Rock #No DAPL” in both performances. The song, from their all-Native Mag7 group that includes Taboo from the Black Eyed Peas, won an MTV Video Music Award in 2017. It was created to show the group’s support of the Standing Rock Sioux Tribe’s battle against the Dakota Access Pipeline. The song hit the right note with the movement and within the music industry. 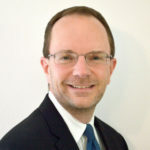 Thanks in part to be an MTV Video Music Award winner, the song has helped propel the career of Battiest and his brother Zachary “Doc” Battiest in many ways. “Ever since the winning of that, it’s created much more opportunities for us to get on bigger stages and get our names out there and our music out there along with our culture as well, which is what we aim to do as artists and as performers, speaking on behalf of me and Doc,” Battiest said. The song has blossomed well beyond expectations. Using their voices to lend support to the movement has meant a lot to the group. In the Miami performance, Supaman, aka Christian Parrish, of Montana, also performed other songs, danced a Fancy Dance and discussed its significance for Natives, and brought up a few members of the audience for an impromptu mini recording session. As for the road ahead, Battiest is excited about the release of the Mag7 documentary and the new album. “It’s a documentary that explores our individual upbringings, our culture, our tribes, our hometowns. We have new music that is being released at the same time of the film. It will be later this year. It will be a major release for us,” Battiest said. Besides the Battiest brothers, there will be additional Seminole flavor to the film.